Command Sgt. 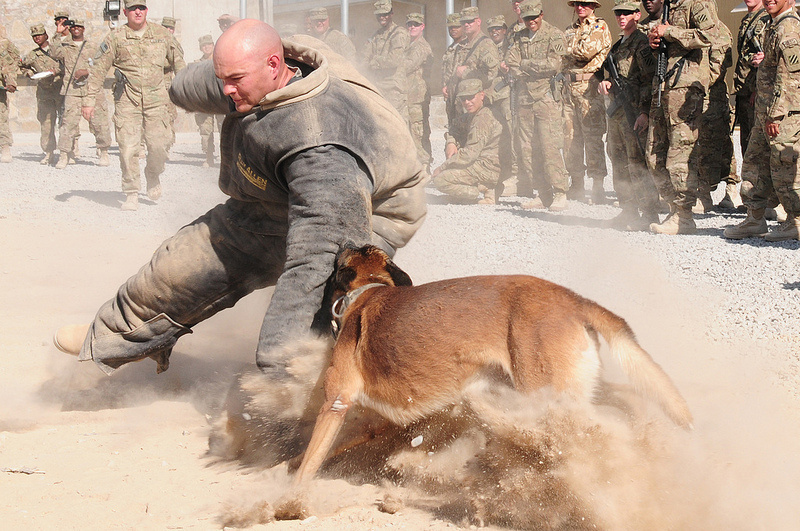 Maj. David Inglis, 3rd Infantry Division Headquarters and Headquarters Battalion command sergeant major, wears a protective suit and is attacked by a military working dog during a demonstration of the dogs’ abilities at Kandahar Airfield, Sept. 29, 2012. The military working dogs, from 3rd Infantry Division’s K-9 unit, are used for various purposes including sniffing for explosive residue and protect military personnel.